Cincinnati always surprises me. 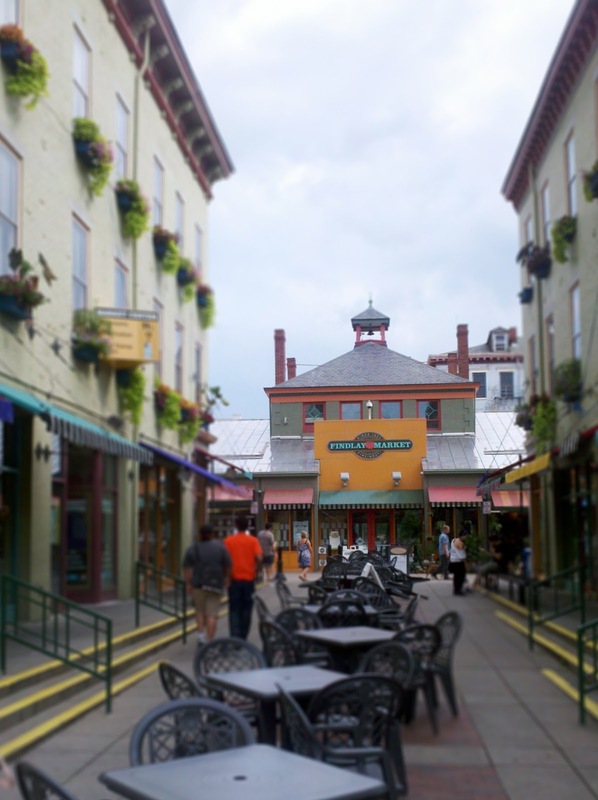 It's not a very large city, and often underrated - but it can be surprisingly interesting. (Of course, it doesn't hurt that my favorite band hails from there.) 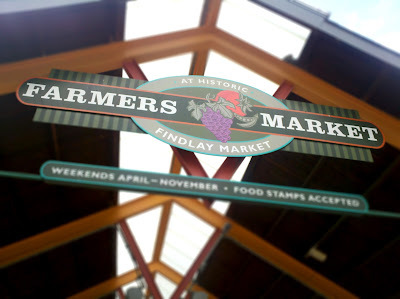 My friend Gabriel is also a foodie, and when I visited him last weekend he introduced me to the wonders of Findlay Market. I've always been of the opinion that some of the best food in the world resides in local markets, and Findlay was no exception. We'll get to the savories and a Cincinnati special in another post, because right now I want to talk about waffles. Belgian waffles. Real Belgian waffles, made in the Liege style, from imported pearl sugar. Taste of Belgium, whose owner Jean-François Flechet actually grew up near Liege, makes what are perhaps the best waffles I've ever eaten - it's been days, and I can still taste them. They accomplish the formidable task of feeling heavy and dense while remaining simultaneously crisp and light. (It sounds like these things should be mutually exclusive, and I'd agree with you - except that I've eaten the contradiction.) 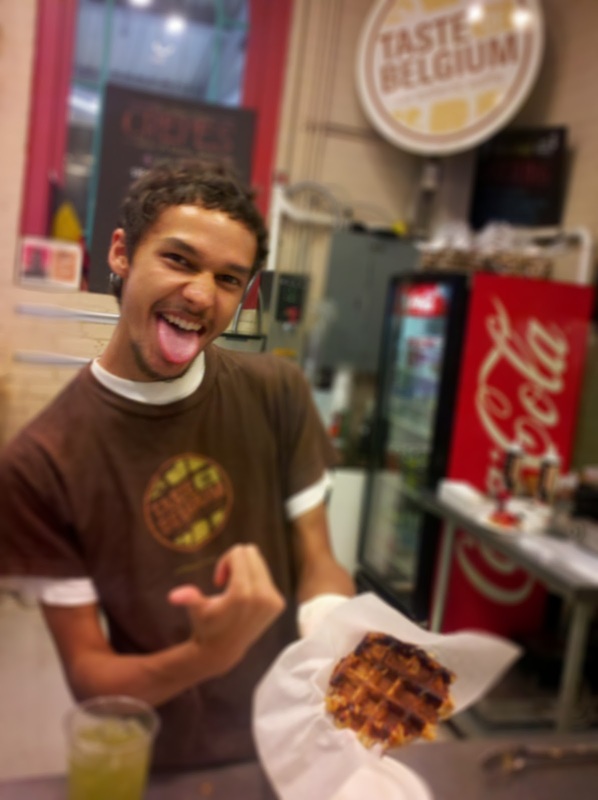 The waffles are small, only about the size of a hand, yet weigh more than the large concoctions that you'll find at diners and breakfast joints around the country. And the outside is delightfully crunchy, with a thin sugar crust (this is why using pearl sugar is important - when baked, the heat actually brings the sugar to the surface of the waffle). These are waffles that would hold up to fruit, syrup, ice cream, or whatever else you'd care to throw on top of them without running the risk of becoming soggy at any point. But they were excellent plain, and I'd almost hesitate to mar such perfection with unnecessary and distracting accoutrements. I almost missed tasting the waffles, as we were all far more concerned with savory food at that point. But as we walked by, the friendly staff offered us samples. Free samples: they'll get you every time. And I'm so glad they did! I'm determined to recreate Liege waffles in my own kitchen since Cincinnati isn't exactly nearby (though Taste of Belgium will ship). The hunt for pearl sugar is on. You can buy pearl sugar at Erik's in Andersonville. 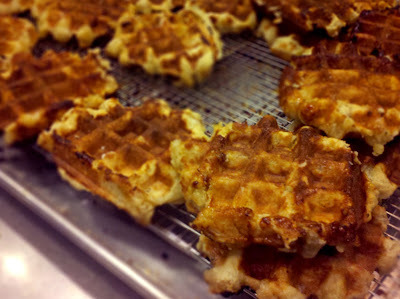 You can also buy authentic Belgian waffles at Baladoche on Clark north of Diversey. Thanks for the sugar tip!